I love this book. I had fallen in love with the McKinley family in Barefoot Summer so I was excited to read Jade’s story. I felt for Daniel in the book with him being in love with Jade but not wanting to ruin their friendship and thinking he couldn’t have her. I also liked that the book had the element of Jade’s pregnancy in it which was different from most of the books I’ve read in this genre. The characters are relatable; both major and minor characters. They made me laugh and I felt like I knew them. However, I did have some questions about certain things in the story that I thought were going to be answered but they weren’t. 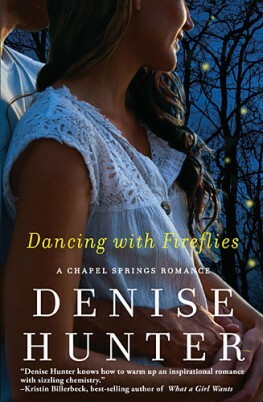 This book would be good for romance readers and for those who liked the first book of the series. You don’t have to read the first book to understand this one but I would recommend that book as well. Sorry about my lack of blogging except for book reviews lately. I went back over the last few posts I’ve written and aside from a quick writing update post on March 2, I haven’t posted anything except book reviews since February 12. That was a month and a half ago. It’s not that I haven’t thought of things to write, it’s just that I haven’t sat down and actually wrote anything. I’ve thought about writing a post about how I need to move away from the community I grew up in or about how I was the forgotten one when I was growing up and still sometimes am. Maybe one day I will write about those things but right now I want to talk about what I’ve been doing. The past week or so, I’ve felt overwhelmed with all the things I need to do and my past was continuously poking its ugly head in my thoughts. I’m in the final stretch of my second semester of my library technician program so there are assignments to be done. Also, at the end of April I will be working in a library for two weeks for my program. With the coming summer months off, I am also having to arrange work so I can make money to help pay tuition for the second year of my program. On top of assignments, I also have personal projects that I’m working on. Over the past year and a half, I have been compiling information for a genealogy of my paternal great-grandfather’s descendants. A member from each branch of the genealogy has been sending me information for their branch and I’m in charge of putting it all together. The other day I received the branch of the eldest son of my great-grandfather so it’s a big family and I have yet to input the information. Then there’s also an NHL (National Hockey League) playoff pool my family does every year that I’m the moderator of. It doesn’t start for a few weeks but I’m thinking of changing some rules and the point system so I have to finalize those before the pool starts. Another thing I have on my plate is reviewing books for publishers. That is where the book reviews that I’ve posted on here come from. There have also been many novellas that I’ve reviewed that I haven’t posted on here. I currently have agreed to review another eleven books. Some of them have dates that they want the reviews by but they all have expiry dates from when I download them from NetGalley. So I’ve been trying to read and review one book a week to keep up with them. Unfortunately, my writing gets pushed to the bottom of the list of things I need to do so I haven’t done any editing on my manuscript in a while. This has got me wondering if I should even be writing at all. It makes me question whether I have what it takes to be a writer even if only part-time. That is one question I’ll have to contemplate more once I’m finished with my manuscript and have time to take a break. Well, I think that’s enough of an update for now. I’ll try not to let my writing (with my manuscript and my blogging) get too far behind but I can’t guarantee anything. For those of you who still follow my blog and read my posts, thank you. I appreciate it and hope you’ll continue to put up with my sporadic posting. From the USA Today bestselling author of To Whisper Her Name and A Lasting Impression comes a moving historical novel about a bold young woman drawn to a group of people forgotten by Nashville society–and to the one man with whom she has no business falling in love. – Description from book. I really enjoyed this book. I related so well to Eleanor which made it a lot easier to get into. I was able to feel the emotions she felt and empathize with her struggles. I also loved the banter between Marcus and Eleanor. They made me laugh and root for them despite their secrets and circumstances that kept them apart. The characters have stayed with me after I closed the book and I wanted to continue their story even though the book was done. I disliked that Eleanor’s father was put in an insane asylum because he had dementia but I know that’s what was done in those days. It bothered me at times but I had to remind myself of the lack of knowledge about those illnesses in the past. I also didn’t always understand what was said when it was written in German but it didn’t bother me that much because I could often figure it out based on context or used a translator. I found it didn’t take away from the story either if I didn’t understand every word. As I stated earlier, I really enjoyed this book, mostly because of how well I related with Eleanor but I think it was also because it played on my empathy. I liked hearing about Eleanor working with widows and children and hearing about the impact she had on them. I’ve always wanted to reach people in a similar way so I loved hearing about her doing so. This is a historical romance so not everyone will enjoy it. Check Out A Beauty So Rare! Here is the next book I’ll be reviewing. I finished reading it a few days ago and I hope to have the review up in the next day or two. I really enjoyed the book. Check out the trailer for the book as well as an excerpt below. Jessamine Barry, the daughter of a vicar, comes out to London from the countryside to take part in her coming out. She experienced heartbreak and wants to know she is desirable to gentlemen. She meets Lancelot Marfleet, the second son of a baronet and a vicar himself. He starts showing an interest in her but rejects his advances. She gets involved with a man with a questionable reputation and by the time she realizes it, it may be too late to return the interest of Lancelot. It took me a long time to get into the book because for the first half or more I did not like Jessamine. I found her to be immature, childish and self-centered. She only cared about herself and I thought Lancelot should’ve given up on her, especially with the way she treated him. She was still pining after a man who was married and was now expecting a child with his wife and then she resolved to break other men’s hearts because she had hers broken. How she behaved and thought made me not like her. However, towards the end of the book when she faced disgrace, I felt compassion towards her and felt myself starting to like her a little bit. I also didn’t like the whole “coming out” thing but I know that this was how it was done back in the time period the book was set in. I felt like the girls were just prizes to be won and I’m glad they don’t still do it today. Because the book is based in a historical setting (London 1815), I had to look up some of the words because I wasn’t familiar with them so someone who doesn’t like historical fiction may not understand it or want to take the time to learn what the words mean. But for those who like historical fiction, they may like this book and it is meant to be a romance novel so stay away from it if you don’t like romance. The last year of Summer Abernathy’s life is a lie. She wakes up one morning with a gun in her face and men in her bedroom who tell her husband is actually David Hackett not Kyle Abernathy and they want the laptop and flash drive he stole. David Hackett has been in the witness protection program for over a year. Three weeks before he’s scheduled to witness at a murder trial, the people who want to get the laptop he stole find him. David and Summer have to rely on the US Marshalls to keep them safe until the trial and until David can hand over the laptop and flash drive to the authorities to put a mob boss behind bars. Summer also has to decide if she can trust and love her husband whom she didn’t know at all. David and Summer’s story hooked me right away. I was wanting to know who was after David (Kyle at the time) when he was on a call. I also wanted to know how Summer would deal with finding out her husband wasn’t Kyle but rather David. I was constantly wondering how David and Summer were going to get away. Also, I was never really sure who was on the flash drive. Sometimes I would forget that was even part of the story because I was so entrenched in David and Summer’s story and wanting them to survive. 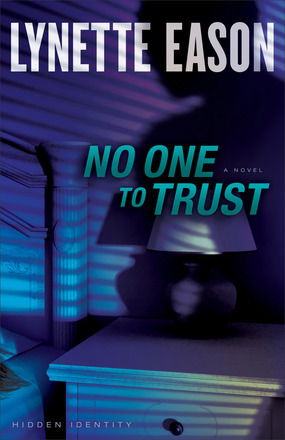 Those who like more of the romance side of the romantic suspense genre may be disappointed with this book. It is not as strong as it is in other books of this genre. It’s hard to be romantic when you found out your husband is not who you thought he was and your running away from a mob boss and his goons. This book was focused more on the suspense and fighting to stay alive as opposed to the romance but it was still there because David and Summer had to work through the lie of David’s identity. I think those who like romantic suspense will like this book but those who are not particularly fond of romance, at least where two characters fall in love in a short amount of time, may like this book as well as the romance is between a married couple and it’s not super strong in the book. I have been slack in my writing these past two months of the year, after finishing the first draft of my new novel on the first day of the year. I could say it’s because the start of the second semester of my library technician program. Or it’s because I’m waiting for feedback on my manuscript from a couple of people. These play into why I haven’t done a lot of work on editing my manuscript but the main reason is I don’t like editing. I’ve never liked editing. I often don’t edit my assignments because at that point I wanted to just be done with the assignment. It’s somewhat similar with my books but I want to take more time so they are at a better quality. My readers deserve it. But it doesn’t make me like editing and revising any better. I can tell you that it will be a slow process because I want to do it right but I have started. I hope to get the book released sometime during the summer. Update You may have noticed some of the book reviews I’ve done on here. This year, I signed up for NetGalley where I request and receive advance copies of books from publishers in exchange for reviews. So occasionally, I will be posting book reviews on here. You can sign up for NetGalley as well by visiting the site at netgalley.com.